It uses thin, dry needles dry in the sense that they don’t inject anything into the body.This are inserted through the skin into the muscle tissue. Our main focus is muscle and connective tissue and trying to restore mobility. When they’re overused or strained, muscles can develop knotted areas called myofascial trigger points that are irritable and cause pain. An overused muscle undergoes an energy crisis where, because of prolonged or inappropriate contraction, the muscle fibers are no longer getting adequate blood supply .If it’s not getting that normal blood supply, it’s not getting the oxygen and nutrients that will allow the muscle to go back to its normal resting state. The tissue near the trigger point becomes more acidic, and the nerves are sensitized, which makes the area sore or painful. Stimulating a trigger point with a needle helps draw normal blood supply back to flush out the area and release the tension. The prick sensation can also fire off nerve fibers that stimulate the brain to release endorphins the body’s own body made pain medication. To locate a patient’s trigger points, doctor palpates the area with his or her hands. A trigger point map that notes common places in the body where trigger points emerge can be helpful, but every patient is a little different. That’s where the clinician skill comes in – to palpate the area and locate the trigger point. Once a trigger point is located inserts a needle through the skin directly into it. He or she might move the needle around a bit to try to elicit what’s called a local twitch response, which is a quick spasm of the muscle. This reaction can actually be a good sign that the muscle is reacting. Some patients feel improvement in their pain and mobility almost immediately after a dry needling session. For others, it takes more than one session. Regardless, it’s important to continue to keep the affected muscles loose by continuing to move them within their new range of motion after treatment. There can be some soreness for 24 to 48 hours afterward. Your doctor can advise you on whether dry needling could be a helpful addition to your treatment plan for muscle recovery, mobility issues, or acute or chronic pain. Intramuscular Stimulation (IMS) or Dry Needling of muscle trigger points is a very effective technique for the treatment of chronic pain and muscle tightness. It utilizes acupuncture needles carefully inserted into shortened muscles to stimulate the relaxation and lengthening of the muscle. This technique can eliminate chronic pain and muscle tightness. Nerves and muscles work together to help your body move normally. This condition is known as neuropathic pain. The IMS technique involves inserting tiny needles into the area of the muscle most affected by the nerve problem. While the procedure uses the same needles as traditional Chinese acupuncture, the technique is very different. Traditional medical practice is successful treating pain caused by an acute injury (fracture, sprain, strain) or inflammation (such as Rheumatoid Arthritis). There is more difficulty treating pain when there are minimal signs of tissue damage or inflammation such as with headaches, back pain, “whiplash”, tennis elbow, frozen shoulder or other chronic pain problems. IMS can be effective at reducing chronic pain and muscle dysfunction. It has few side effects and excels at finding shortening and pain in the deepest of muscles. 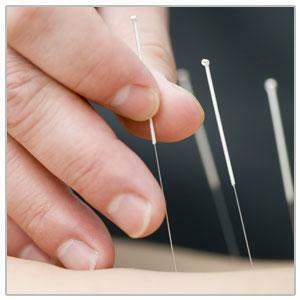 Difference between acupuncture and IMS ? IMS uses needling technique as does acupuncture’ but they have different origins. Acupuncture is based on Chinese medicine, where needles are inserted into acupuncture points along body system meridians to treat a variety of conditions. IMS is based on Western Medicine and treats at the source of the pain, that being into the muscle belly of the shortened muscle, and its corresponding spinal segment. Who can get benifit from IMS?